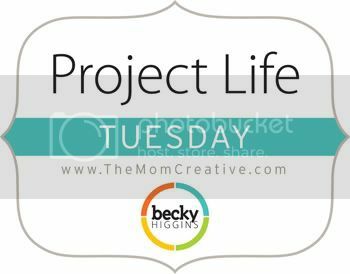 Welcome to Project Life Tuesday 2012! 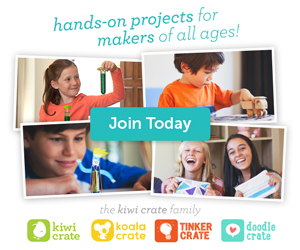 If you are new to The Mom Creative, welcome. I hope you will stay awhile. 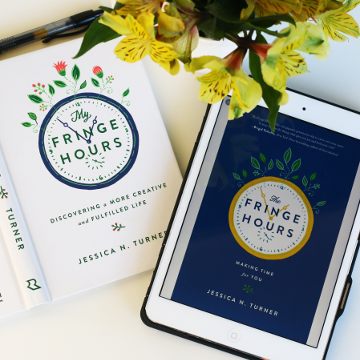 I’m Jessica – wife to Matthew, mom to Elias, a silly and spirited three-year-old, and Adeline, a delicious, growing baby. I’m also a marketing professional, savvy deal finder, photo lover and memory keeper trying to juggle it all. I needed to keep myself accountable and on top of my photos each week. 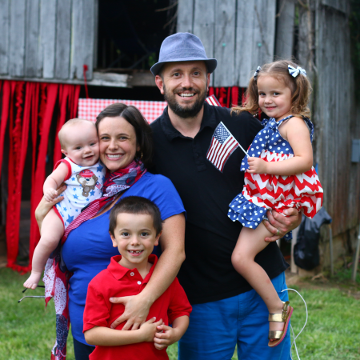 My family loved being able to count on a weekly post with pics of the kids. I thought others might want to keep themselves accountable too. It was a huge blessing and so I am excited to be kicking off my third year of this series. Each Tuesday, I will share my spread from the previous week, as well as host a linky for readers to link up their pictures/layouts. This year, Epson is sponsoring Project Life Tuesday, and they provided me with their Epson Stylus R2880 Large Format Photo Printer (C11CA16201) for many of my album’s photos. Printing photos at home is hopefully going to help keep me on track! Since we are still recouping from our week out of town, I only did Week 18 this week. I am hoping to tackle Weeks 19 and 20 next week. 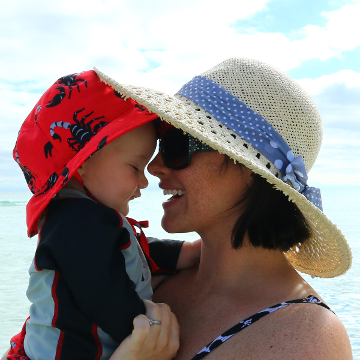 Some of you have already asked how I am going to handle all the beach photos we took – I am making a Shutterfly book of our trip, so I plan to keep things pretty simple for my Project Life album. This week I used Design A + a coin protector page for all of our instagrams (there were A LOT this week). + a trimmed Design B insert. Spread one is mostly photos from my family’s visit. 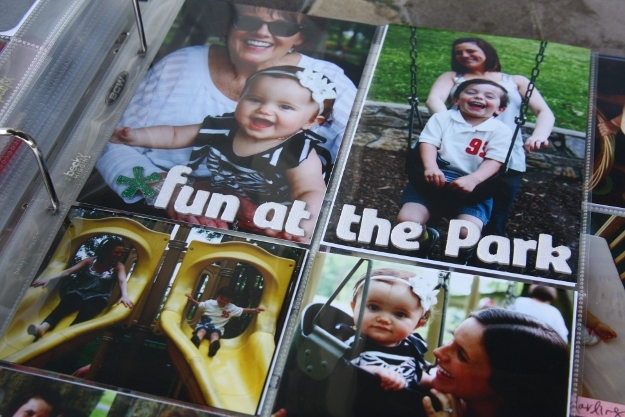 The Design A insert is divided in half – half of photos of my mom and sister from Monday, before they left town and half of photos of Elias who was home sick Tuesday – Thursday. I used Martha Stewart labels for journaling on the photos and an epoxy sticker for a little pop on the date card. The Design B insert is all photos from Sunday. I love the title extending across the top two photos. I added a bit of journaling to the bottom left slot. The photos in the middle are cropped to 4×3 and the photos at the bottom are 2×3. The back of the Design B insert is more photos from Sunday. I embellished a 4×6 journaling card to share about our time visiting the Parthenon Sunday evening. I used the same stickers on the bottom 4×3 grid journaling card. I love the instagram insert this week. I inserted a Hambly transparency across the top of the insert. The front side is all picture from Sunday – Friday. I used 7 Gypsies stickers to add words to most of the photos. The back of the insert is photos from our road trip to Hilton Head. I used some travel stickers on a few of those photos. The other Design A page is just some ordinary, every day photos from our week. 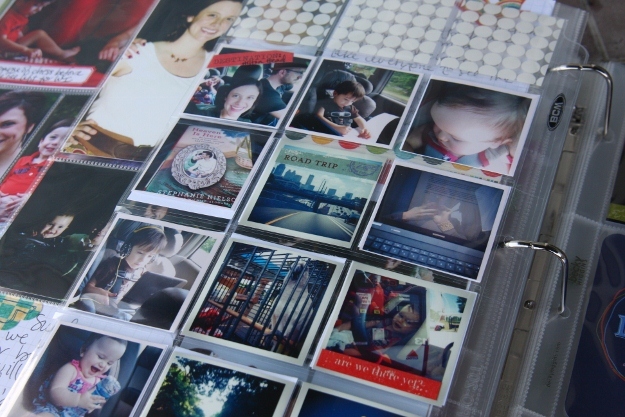 I used a variety of stickers for journaling on the photos, as well as a few journaling cards. Loved your update as ever, Jessica. Thank you for co-ordinating PLT! Great pages Jessica. Love the instagrams with the transparency across the top! Love the instagram pics! What pages are those that you use? OH! Awesome idea!! I need to go get some!! 🙂 Thank you! Alas, I was not on the ball enough to make the Tuesday deadline this week! Shame on me! I’m shooting for Thursday. Anywho, I am totally digging those Instagram pages once again. I bought the coin collecting pages, but I still need to get in the groove of taking more Instagrams. Now that the app is FINALLY available for Android, I have no excuse! I love looking at your Project Life pages, so much so I just ordered some coin-sized page protectors. Can you tell me about how you print your instragrams? I’ve got mine from my phone to the computer, but I’m not sure what the best way is to go about printing them. Thanks! I have a printer at home, so that is how I print them. 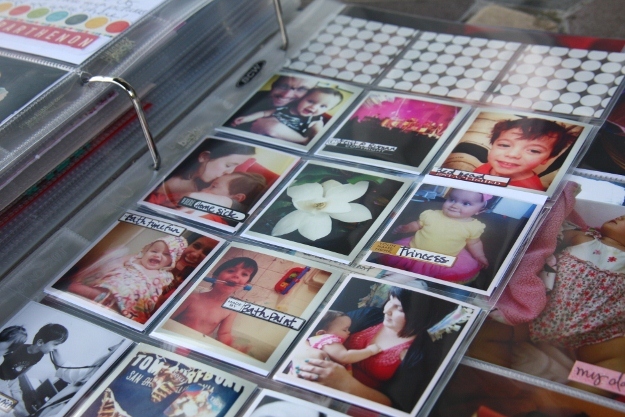 You could set them up on 4×6 “sheets” and upload them to your local printer that way. What size are the little instagrams you have printed in the coin protectors? I have a photo printer too. I thought maybe you had an easy process to print several at once, even at home. I love your instagram page too ♥ Now I just need to get an iphone and I could copy that fab idea too. 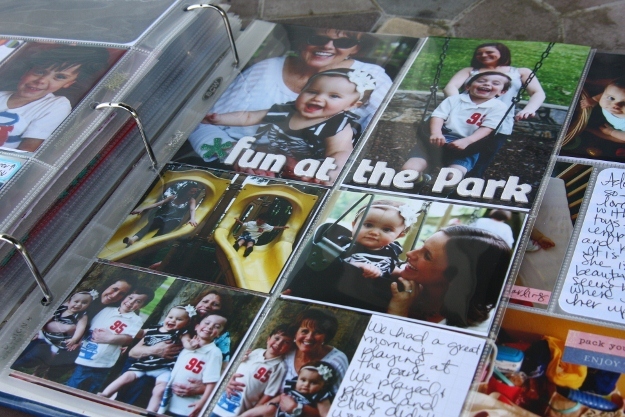 I have loved the 6X12 photos you include and this week finally put one in my album too. Just love the look, thanks for the inspiration. 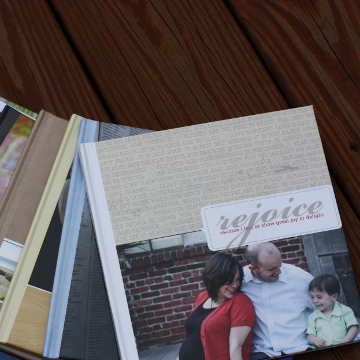 PS: I just got my photobook from Paper Coterie, using the credit you had awhile back for subscribers and love that too! 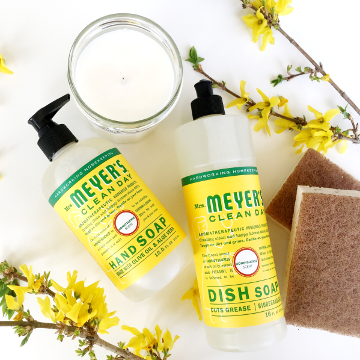 It’s a Kraft style one and looks great for my husband. Can’t wait for Father’s Day to give it too him and see his face. So glad you love your Paper Coterie book! 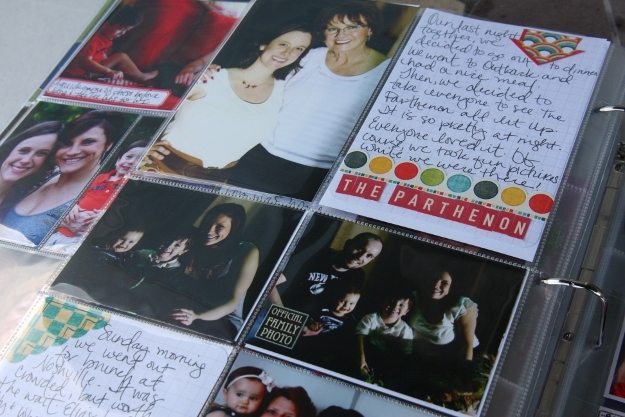 Love how you’re incorporating the different page protectors! 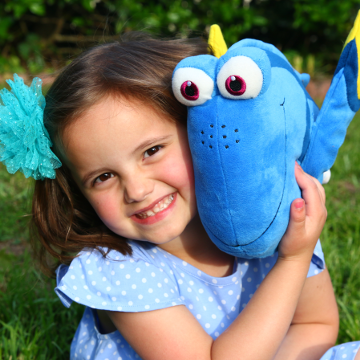 Thanks again for running this link up!